Is Mary J. Blige Broke? 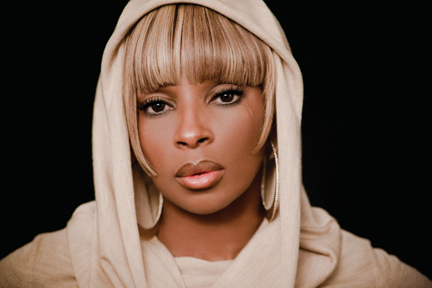 First singer Mary J. Blige defaulted on $250,000 in loans earmarked for her charity, and then she was sued by Signature bank for defaulting on $2 million in personal loans followed by an identical suit from Bank of America after she defaulted on another $2 million personal loan. Now comes news she is reportedly having trouble paying her rent. According to The New York Post, The “No More Drama” singer’s reported money problems have gotten so bad, she was slapped with a notice on the door of her upper West Side apartment building after it was discovered that she “had a rent-paying problem” last November. The Luxe building, the Ashley, boasts a basketball court, state-of-the-art gym and bowling alley. “It was for not paying back rent,” a real estate source who has leased apartments at the building told the newspaper. A three-bedroom apartment at the Extell Development site, similar to the one Blige was renting, rents for $9,000 to $12,000 monthly, depending on the view and amenities. The source told the Post that the 42-year-old singer was there for a little more than a year before the note was plastered on the front door of the pad. According to reports Mary’s finances are in a shambles because she’s being bled dry by a mountain of copyright lawsuits.